But Their LTV Isn't Very Good!! I ran into this one recently. The Marketing Executive held a report from a noted catalog boutique agency. The report suggested that customers acquired from "digital" sources were worth much less than customers acquired from "catalogs". Catalog Sourced Buyer = $50.00 Lifetime Value. Digital Sourced Buyer = $20.00 Lifetime Value. "We don't want the Digital buyer ... they're worth less." Yup ... it's Lizard Logic!! Old school catalog leaders are notorious for turning away "digital" buyers because LTV is not as good. Do you think your CFO, if you told her that you could acquire 100,000 customers who would each generate $20 profit in the next five years, would say ... "nah, I don't want an additional $2,000,000 profit"? 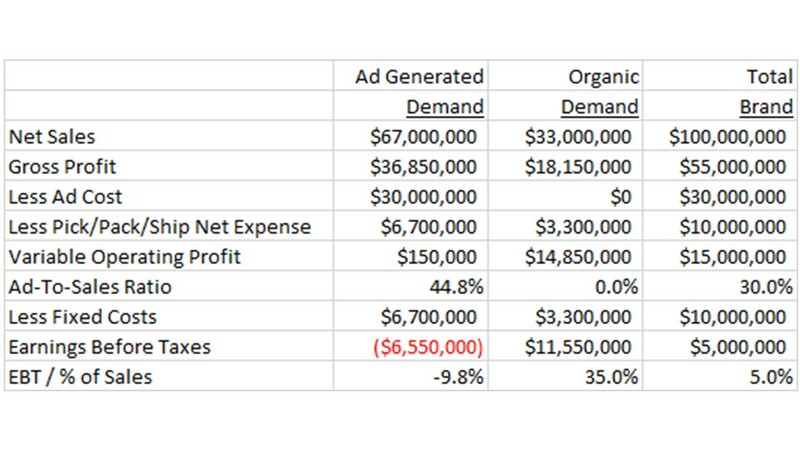 Your CFO would flog you if you didn't generate $2,000,000 additional profit. Here's the next line of reasoning I hear. "But the digital buyer doesn't like buying from the catalog, so that's a bad thing." You know what? If the digital customer doesn't like buying from the catalog ... don't send the digital customer catalogs!! "But we are a catalog brand. It's our job to mail catalogs." You are a merchant. It is your job to sell things. You want every dollar of profit you can find. Period. It is SO HARD to generate profit. Why would you turn profit away simply because the customer is worth less than another customer? You just acquired a new customer. You lost money on the transaction (that's common). You want your money back. Which of the following two strategies is most likely to get your money back. Market normally to the customer ... wait until the customer hasn't purchased in 18 months, then use vendor-centric reactivation strategies coupled with discounts and promotions to "win-back" the customer. Immediately work hard to make sure the customer is happy with the first order, and encourage the customer to purchase for a second time within the first ten weeks following a first order? The answer isn't even close. Vendors push for (1) because that's how they make money. You need to push for (2) because when the customer purchases for a second time (especially within 10 weeks), the customer is worth A LOT MORE than when you wait 18 months to convert the customer to a second purchase. You earn all of that incremental profit in the short-term, and, you push the customer to 3x or 4x or 5x status faster, so you earn even more profit in the long-term. Any lifetime value simulation makes it perfectly clear that you have to do everything possible to get a customer to place a second order within 10 weeks of a first order. What stops you from taking advantage of this fact? What stops your call center from calling this customer to make sure the customer is happy? It's called a "call center", right? So call the customer!! Ten weeks ... 70 days. That's the window when you can make the biggest impact on LTV. It's Fun To Acquire A Customer Via Discounts And Free Shipping! But is it the right thing for your business? How does LTV vary between a customer earned the honest way (full price, no promotions) and a customer earned via cheating (discounts, promotions, free shipping)? There are times when the customer earned via cheating is worth more, long-term. There are times when the customer earned the honest way is worth more, long-term. Your job is to do the math. No more theoretical arguments. Customer Earned The Honest Way. Probability of Purchasing, Next 12 Months = 40%. Amount of Net Sales Generated if Customer Purchases = $200.00. Gross Margin Percentage = 60%. 12 Month Ad Cost = $20.00. Pick/Pack/Ship Expense, as a % of Sales = 5%. 12 Month Profit = 0.40*$200.00*(0.60 - 0.05) - $20.00 = $24.00. Probability of Purchasing, Next 12 Months = 45% (better). Amount of Net Sales Generated if Customer Purchases = $215.00 (better). Gross Margin Percentage = 53% (worse due to discounts/promos). Pick/Pack/Ship Expense, as a % of Sales = 10% (worse due to free shipping promos). 12 Month Profit = 0.45*$215.00*(0.53 - 0.10) - $20.00 = $21.60. The discount/promo buyer is more loyal. The discount/promo buyer spends more. The discount/promo buyer generates less profit. Now, as long as the brand is able to acquire 12% more customers via discounts/promos, then the math works out well ... you'll generate 11% less future profit per customer but you'll generate 12% more customers yielding more profit. It is entirely possible that the discounts & promotions & free shipping are the right thing to do for your business. But you have to do the math to know, don't you? Are you running the math? Or are you being a "strategic marketer"? Please ... run LTV math. I'm beggin' ya! I know, I know, you just want simple math, something you can calculate on your own. Let's do something at a 30,000 foot level. Doing something at this level is better than the 90% of you who are not calculating LTV in any way, shape, or form. Step 1: Select any customer who purchased for the first time between 20100700 and 20110700. Step 2: Record the profit/loss generated by that customer on the first purchase. Don't have that data? Go get it. 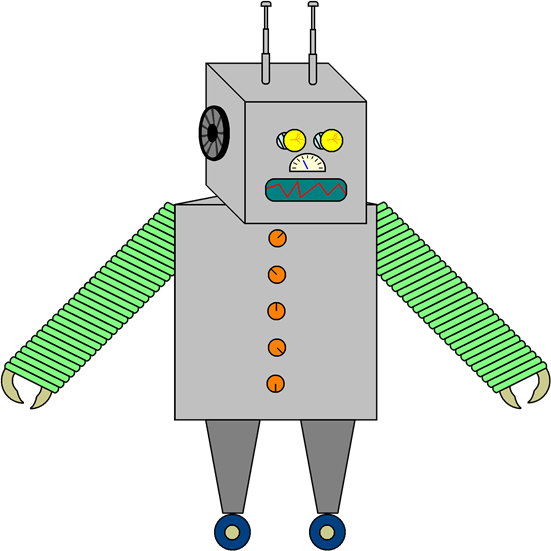 You wanted to do this yourself, so there are certain data elements you have to have. You'll have to speak with somebody in Finance. You'll have to speak with somebody in Marketing. You'll have to be proficient at calculating profit. You can do this! Step 3: In the next 12 months following the first order, please record the following data elements for each customer. Total gross margin dollars generated. Total ad cost spent against this customer. Margin Factor (percentage of margin that flows through to profit, independent of ad cost). Step 4: In months 13-24 following the first order, please record the following data elements for each customer. Step 5: In months 25-36 following the first order, please record the following data elements for each customer. Step 6: In months 37-48 following the first order, please record the following data elements for each customer. Step 7: In months 49-60 following the first order, please record the following data elements for each customer. Now, this isn't going to get you to lifetime value, but it will get you to 5-year value, and that's a big deal. Step 3 = $80.00 Sales, 50% Gross Margin, $20.00 Ad Cost, 10% Margin Factor. Step 4 = $60.00 Sales, 50% Gross Margin, $16.00 Ad Cost, 10% Margin Factor. Step 5 = $45.00 Sales, 50% Gross Margin, $12.00 Ad Cost, 10% Margin Factor. Step 6 = $35.00 Sales, 50% Gross Margin, $10.00 Ad Cost, 10% Margin Factor. 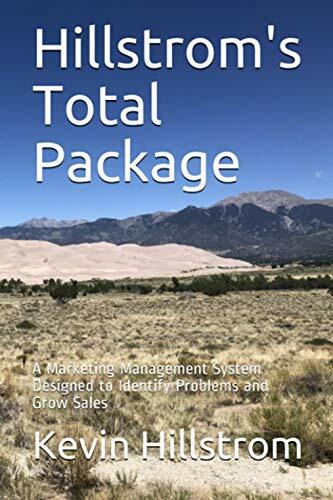 Step 7 = $25.00 Sales, 50% Gross Margin, $8.00 Ad Cost, 10% Margin Factor. For each step, we calculate annual profit. Step 3 = $80.00 * 0.50 - $20.00 - $80.00 * 0.50 * 0.10 = $16.00 profit. Step 4 = $60.00 * 0.50 - $16.00 - $60.00 * 0.50 * 0.10 = $11.00 profit. Step 5 = $45.00 * 0.50 - $12.00 - $45.00 * 0.50 * 0.10 = $8.25 profit. Step 6 = $35.00 * 0.50 - $10.00 - $35.00 * 0.50 * 0.10 = $5.75 profit. Step 7 = $25.00 * 0.50 - $8.00 - $25.00 * 0.50 * 0.10 = $3.25 profit. Year 1 = $16.00 profit. Year 2 = $11.00 profit, $27.00 cumm profit. Year 3 = $8.25 profit, $35.25 cumm profit. Year 4 = $5.75 profit, $41.00 cumm profit. Year 5 = $3.25 profit, $44.25 cumm profit. At a high level, you have LTV at a cumm level for each of the first five years a customer is on your housefile. Remember yesterday when we calculated payoff horizons? Apply that logic to your customer base after knowing how much profit you generate from a first order, and you've got everything you need to perform a 30,000 foot level LTV analysis ... remember, 90% of folks aren't calculating anything, so by following the simple steps here, you are well ahead of the curve. From here, you can follow your favorite University Professor and dig deep into advanced LTV theory. But at least you'll be ahead of 90% of the competition. And you didn't have to pay a penny to obtain the information. A simple idea (promote new items) and they get free press ... and even if they had to pay a trade journal a fee for the publicity, it's not terribly expensive, right? In so many of my Merchandise Forensics projects, it is painfully obvious that new items need to be promoted. And since new items don't usually perform well, you don't promote the new items in expensive channels (paper, television). You promote new items in inexpensive channels (PR, Email, Content, Video). Tell me why you couldn't copy this idea ... what would stop you from doing something similar? Have you noticed that folks are experimenting in July/August ... when sales are sluggish and the risk is low? What would stop you from experimenting when sales are sluggish? What Is The Right Customer Database For You? The buzz out there is that customer databases are important. I'm here to tell you that people are important, and most of us do not hire the right people to do a credible job of getting the most out of a customer database. Here's what I hear, often. 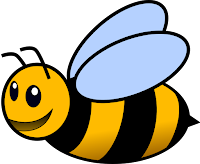 Client #1: We outsource our database to Barple (name made up to protect the innocent at database companies). Those people are hacks, they have no idea what they're doing. Who should we partner with? Client #2: We outsource our database to Barple. Those people are wonderful!! Best investment we ever made. I've heard glowing praise of Barple and outright contempt for Barple ... and the same employee at Barple is mentioned in each case, by name!!! Let that one sink in for a moment. I worked with a company. The company hosted their database in-house. The company was highly dissatisfied with the fact that they were getting no credible insights to help grow/fix their business. The company chose a leading customer database provider. The company went through the requirements process. The company struggled mightily to survive the requirements process, simply because it did not have the in-house talent to articulate what credible requirements were. As a result, the IT team contributed too many requirements ... and the requirements ended up reading like the IT team was running marketing, and not the marketing department. What was asked for was what an IT team would ask for if they ran the marketing department. Then the database provider built the database. A nine-month process took fifteen months, angering all sides (including the database provider, who never got the information they needed in a timely manner). The database was finally available for use. Executives waited for the insights that were predicted when the company spend $$$ with the vendor. Existing staff said that the database was hard to use, and they should have said this. They were not trained to query a big database, they had no interest in querying a big database, and the big database was structured to support IT-style marketing requests. Existing staff stopped using the database and reverted back to vendor-centric reporting. The Executive Team was angry. The Marketing Team was angry with the Database Provider. Databases have nothing to do with databases. Databases have everything to do with the people accessing the database. Are the people talented enough to access the information, translate the information into actionable findings, and then communicate the findings in a way that causes people to make better decisions? Our problem is a talent/people problem, not a database problem. You should see the project work I do ... I ask for data in a clear and specific manner, and what is delivered to me is, to be kind, problematic in 40% of the cases. It's as if nobody ever looks at the actual data. The longer you talk about the merits of an in-house database or which vendor is best or any of the other stuff that sounds strategic but isn't, think about changing course. The reason you're probably not happy with your database is because you haven't hired the right talent to actually use the database. Ok, your turn. Tell me why I am wrong. What am I missing? I'm presenting information ... #datadriven stuff, no less. In other words, I have facts to back up what I'm asking business leaders to do. As I tell the audience to take a break, one of the attendees walks over to me. Here's how our conversation goes. Attendee: You realize that our industry is a relationship-based industry, right? Kevin: Tell me what you mean by that? Attendee: You are asking me to change my marketing strategy, right? Kevin: If you want to attract new customers, yes. Attendee: Yes, I want to attract new customers. But here's the problem. If I do what you say, then I walk away from people I have relationships with. Kevin: You mean your co-workers? Attendee: No, I don't spent a lot of time with my co-workers. I'm talking about vendor partners. I've worked with these people for thirty years. If I do what you are telling me to do, I'll have to walk away from these people. These people are the reason I work in this industry. They are the people I care about. Kevin: Are you saying you would rather have your company make less money so that you can allocate company resources to the vendors who you like spending time with? Attendee: It doesn't sound so good when you say it that way, does it? It's not common anymore for me to sit in a meeting with both marketing and merchandising professionals. Used to happen all the time. But something broke in the marketing/merchandising relationship in the past ten years ... and the beneficiary of this broken relationship is the marketing vendor community. If you're a merchant, trump what those vendors do ... go buy your marketing friend a $49 prime rib meal or alder planked salmon meal or a salad or whatever ... and expense the meal, and see if you can rebuild your relationship with the marketing team. The marketing folks are getting a better deal from the vendor community than they're getting from the merchandising team. I know, I know, you're a merchant and you want to know why the darn marketing folks won't make peace - why can't the marketing team take YOU out to dinner? I get it. They should take you out to dinner! But I've been in too many meetings where the merchandising team beats the living daylights out of the marketing team, to the point where the marketing team would do anything (i.e. spend time with vendors) than attend one more meeting with the merchandising/creative team. Ok, fine. Both side are accountable. Both side should try to rebuild relationships. Have at it! We're inundated with reactivation opportunities ... search or email marketing or vendor overlays or social nonsense or mobile strategies ... somebody is always telling you what you have to do to be successful ... somebody who wants to be paid ... by you. And too many of you listen. Have you ever run a profit and loss statement on a vendor-hyped reactivation tactic? Have you ever looked at who gets paid? Here's an example ... the vendor-hyped reactivation tactic actually works, so that's a blessing. But tell me what you see when you look at the profit and loss statement. The RED number is how much the vendor gets paid for the tactic. The GREEN number is how much you get paid for using the tactic. Can you see why the vendor community loves this stuff? They get paid 6.6 times as much as you get paid for the tactic. I know, I know, I can hear the vendor community howling as we speak ... "WE MADE YOU MORE PROFIT THAN YOU WOULD HAVE MADE WITHOUT OUR TACTIC". Yup, that's correct. 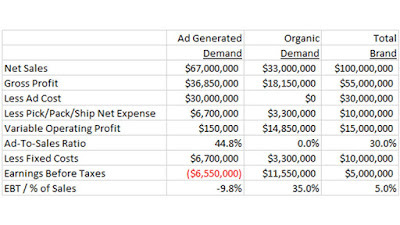 Again ... the vendor is making 6.6 times as much cash as you are making ... your employees are working to make the vendor 6.6 times as much cash as the employees generate for your own brand. And that's what happens when the tactic yields profit. How about all the times when the tactic is not profitable ... which happens all the time!!? All those times your vendor tells you that you will make up the volume on lifetime value? Any reactivation tactic should include a fair distribution of profit/cash. The vendor should not earn 6.6x as much as you earn. Ever. The reactivation narrative is sometimes filled with lizard logic. Let's discuss some of the problems with the reactivation narrative. Issue #1 = There Are Riches In Reactivated Customers! For most of us, there aren't riches to be had when reactivating customers. I got to work at Lands' End, Eddie Bauer, and Nordstrom. When you have between four million and ten million twelve-month buyers, you also have an equal number of 13-60 month customers. So yes, there are riches to be had when working at Lands' End, Eddie Bauer, and Nordstrom. But you don't work for Lands' End, Eddie Bauer, or Nordstrom. You work for Widget World. You have 250,000 13-60 month buyers. And only 10% of that audience is going to purchase again this year, if you are lucky. That's 25,000 buyers. 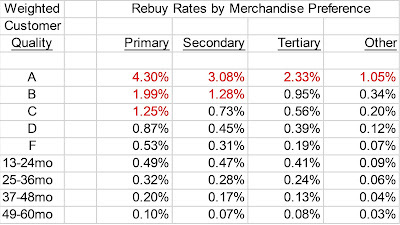 When a vendor tells you that they have reactivation magic that improves reactivated buyer counts by 10% (and 10% is a big improvement, friends, this means your vendor did a good job), you increase your buyer count by 25,000 * 0.10 = 2,500 buyers ... your twelve-month buyer file might increase by 1% or 2%, that's it. At a $100 AOV, that's $250,000 demand. Do you want $250,000 demand? Absolutely! Did you achieve "riches" by mining your reactivation file for gold? Hardly. After expenses, you're lucky to take home $25,000 profit. Your vendor, however, takes home more profit than that. Issue #2 = How Vendors Make Money. For you, improved reactivation yields minor benefits. For your vendor, a reactivation product is a major product ... this is how the vendor puts cheddar on the hamburger. As a result, the vendor hypes the living daylights out of reactivation, and for good reason ... it's much more important to the vendor than it is to you! 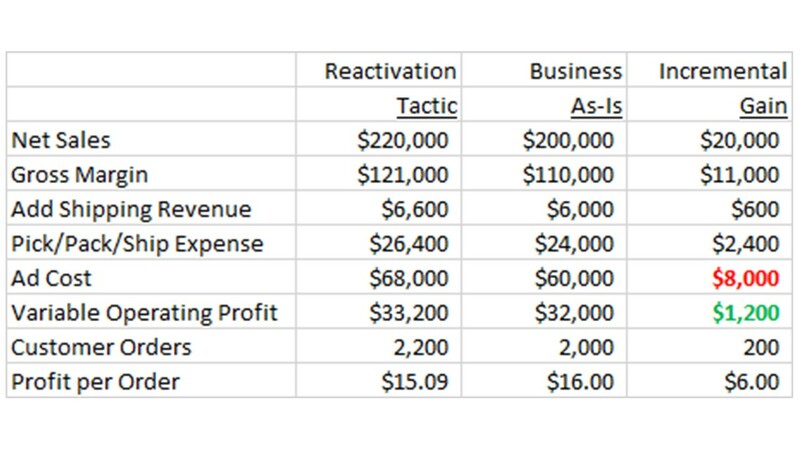 When you run a p&l on reactivation tactics, it is common for the vendor to make more profit on the reactivation tactic than you make. Seriously! Run a p&l sometime and see for yourself. This is the problem with vendor hype ... the tactic is far more important to the health of the vendor than it is to you. That social media overlay pays dividends for the company offering the social media overlay. Why should a vendor make more money off of your reactivation activities than you make? Seriously. Offer me a credible answer to that question. Issue #3 = You're Already Speaking To Many Reactivation Candidates. It isn't like your reactivation audience is ignoring you. Half of the reactivation audience is on your email file, and you are "engaging" this audience four times a week, every week, all year long, 200 times per year. If you are a cataloger, then you are engaging the rest of the reactivation audience "X" times per year with your beloved catalog. There's a reason that a customer says no to 200 emails per year and 4 catalog per year, every year ... the customer doesn't want to buy from you!!! Some vendors demand that you use discounts / promotions in combination with their solution. They do this for a good reason ... it increases the likelihood that their solution appears to be successful. This is a lie told on behalf of the vendor. It means that you cannot separate the impact of their solution from the impact of the discount / promotion ... the vendor gets credit for reactivation purchases that are actually caused by discounts / promotions. You get a reduced gross margin percentage, and your merchandising team gets a smaller bonus payout as a consequence. Worse, which customer is treated better ... the loyal buyer who visits your site and is not given a promotion to purchase, or the 44 month buyer who visits your site and is immediately given a 30% off plus free shipping offer to "tickle her buying bone"?? I've yet to run across a project where a customer is given a promotion and then becomes less likely to need promotions in the future. When you give a discount to a customer, the customer becomes more likely to purchase via discounts in the future. Congratulations! Your reactivation strategy just mucked-up the future profitability of your brand. Repeatedly, I watch companies spend disproportionate time trying to convert lapsed buyers. The biggest short-term payback comes from your 0-12 month file. The biggest long-term payback comes from focusing on first-time buyers. The biggest overall payback comes from having a robust merchandising assortment that causes customers to purchase. Lapsed buyers represent the smallest short-term and smallest long-term payback. In my simulations, the math always aligns with finding a new buyer. Always. Why? If you spend your incremental dollars finding new buyers, then you have a new 0-12 month buyer and you have your lapsed buyer that you are already emailing 200 times a year and sending 6 catalogs a year to ... it's not like you aren't speaking to the 30 month buyer ... you are already pummeling the living daylights out of that customer! Always default to adding an incremental new buyer with your incremental time and incremental advertising dollars. My simulations repeatedly show that this is where you get the biggest bang for your buck. I'm not saying you shouldn't work hard to reactivate lapsed buyers. 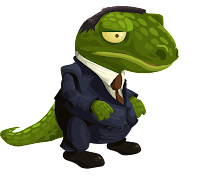 I am saying that you should ignore vendor-hyped lizard logic. 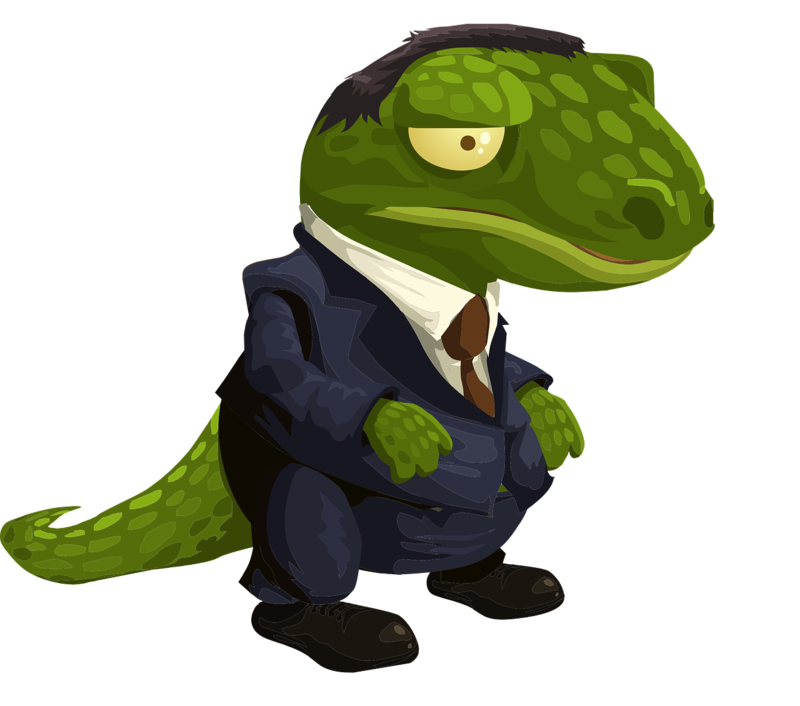 Your lapsed buyer file isn't full of riches (unless you are a billion-dollar brand ... if you are, then vendor-hyped lizard logic works great for you, no doubt about it). Now, if your vendor has a credible reactivation strategy and they are humble about what they bring to the table and both parties equally share in the profit of the situation, then by all means cling to that vendor like grim death!!! Here's another common problem I run across. If you run a department store (Neiman Marcus, Amazon), you tend to have product diversity that minimizes issues. But if you have maybe a couple hundred styles/skus, there's a danger in not understanding how key winners drive your overall ecosystem. When you have three hundred items and maybe just fifteen winners, the fifteen winners disproportionately influence the whole business. And if just a few of those winning items cause customers to "lock-in" on those items, you have downstream trouble. What you want is a winning item that causes customers to cross-shop the rest of your assortment ... and a winning item that causes customers to come back repeatedly. If a winning item causes the customer to only buy the winning item ... and the winning item causes the customer to shop less frequently, then the winning item is actually hurting the long-term health of your business ... it is starving your ecosystem of future success. This is where a marketing / merchandising partnership is critical. You want to have a marketing team that can explain these dynamics to your merchandising team. Your marketing team needs to be able to craft queries that explain merchandise/customer interactions. The merchandising team is given incentives to grow the business, especially among high-margin items, and they are given inventory turnover goals that preclude expansion of new items that may not sell well. High-margin items, especially winning high-margin items, are given all of the primary real estate. The number of winning items grows over time. The number of contending items shrinks over time. The number of new/contending items shrinks over time. Within three years, the business is contracting, but the merchandising team is earning healthy bonuses. Marketing gets yelled at ... the CMO is fired for "not targeting the right customers in an omnichannel world". There's nothing wrong with paying folks for promoting high-margin items that turn often. There is something wrong with not giving incentives for the development of items that will be successful in three years. Try to avoid the over-emphasis of key items that yield bonus payouts. Offer balanced bonus structures that include the marketing team and merchandising team and creative team, and see what happens. In other words, be a leader! 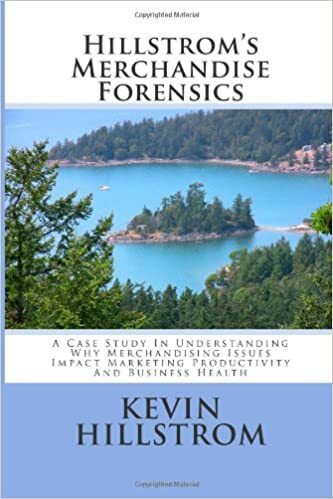 Use your Merchandise Forensics framework to lead your organization down a good path. In most of my projects, companies do not do a good enough job of generating new items that become winning items. Since writing the booklet, I've simplified my view on new items ... there are only three types of items. Winners = Top 5% of Units or Top 5% of Demand. Contenders = Next 40% of Items sorted on Demand Volume. Others = All Other Items. Winners are worth about 45% of annual demand. Contenders are worth about 45% of annual demand. Others generate about 10% of annual demand, but represent 55% of styles offered. New items tend to go through a two-year development cycle. The new item must become a Contender to have a chance in the future. The Contender must become a Winner in year two. Here's where the problem arises. It is not hard, in these projects, to teach a company that there need to be 10 winning new items and 90 contending new items each year to fuel the future health of the business. If the company offers 400 new items per year, then 10 of 400 (2.5%) must become Winners, and 90 of 400 (22.5%) must become Contenders. Let's say that a company wants to get 15 new Winners and 135 new Contending items, in order to fuel future growth. How might the company go about this? Do a better job of identifying Winners / Contenders. Have marketing promote potential Winners / Contenders more heavily. Increase total new items by 50% so that new Winners / Contenders grow by 50%. Most companies should pursue (2) and (3), with (3) getting priority. Most companies instead pursue (1) and (2), with (1) getting priority. It is terribly hard to achieve (1) ... for if that line of reasoning were successful, most companies would already be successful at (1) and there wouldn't be a problem! It is hard, HARD work to find new items that become winners. Really HARD work. I'd rather place my bets with a diversified portfolio of new items that yield more winning new items than to double down on finding more new / winning items off of the same quantity every year. At least that's what the project work suggests. The Read and Reject audience, of course, thinks that you can just yell at merchants louder and get results. Doesn't work that way.